Two giveaways have ended and here are the results! The first was the Super Diaper Baby giveaway and the winners are…. #26 Pauline M and #13 Teresa Young! Both who happened to vote for me for Camp Dirt and those comments won! All winners have 24 hours to get back to me! I bet you are asking yourself “is he serious…three winners?” The answer is yes. Here we go. Also, stop talking to yourself. 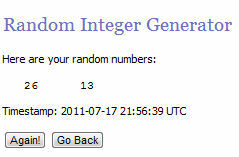 The first winner is for the Redbox promo codes. The winner iiiiiiiiiiiiisssss…. The second winner is for the Things Remembered giveaway and the winner iiiiiiiiisssssssss…. #22 (a different Michelle than the last one) Michelle! Thank you to all who entered! Congrats to the winners! You have 24 hours to reply to me. Two giveaways have ended and the winners will be announced next week…I’m joking. The winner of the Madeline DVD is……. 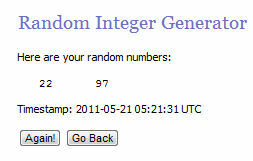 The winners of the Shrek 2 Blu Ray are…………. #12 Amber, #3 Michael, and #5 Richard Hansen! All winners have been notified and have 48 hours to holla at me or I will pick some more peeps! Thanks to all who entered! Hey yo! The 1-800-BASKETS.COM Giveaway has ended and the winnah issssssss….. Thank you to all that entered! The WINNER NEEDS TO GET WITH ME ASAP TO GET PROMPT DELIVERY! 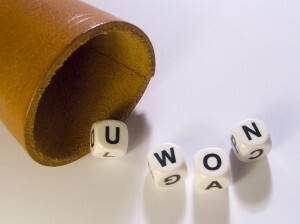 So…the Wordlock giveaway has ended and the winner is….. Thank you all who entered and the winner has 48 hours to respond! #22 Isiah and #97 Christal Couturier! All winner have 24 hour to respond and thanks to all that entered. Another dang giveaway has ended and this one is for the Generator Rex toys! Two giveaways have ended and here they are! The winner of the Pedia-Lax giveaway is…….. The winner of the TRON giveaway is………. Thanks to all that entered and the winners have 24 hours to respond. The winner has been notified and has 48 hours to respond. Thank you to all that entered! The Rio Soundtrack giveaway has ended and the winners are…. #26 Monte, #18 Daniel M, and #12 Pauline M! The winners have 48 hours to reply or I pick someone else to give something free to.